Social media is continually changing. That means that with new information, changes in algorithms and variable engagement rates, the strategies behind the posts also shift. A few years ago the golden standard was that marketers should post 80% of useful content about their industry and only about 20% of self-promoting material but those days are long over. 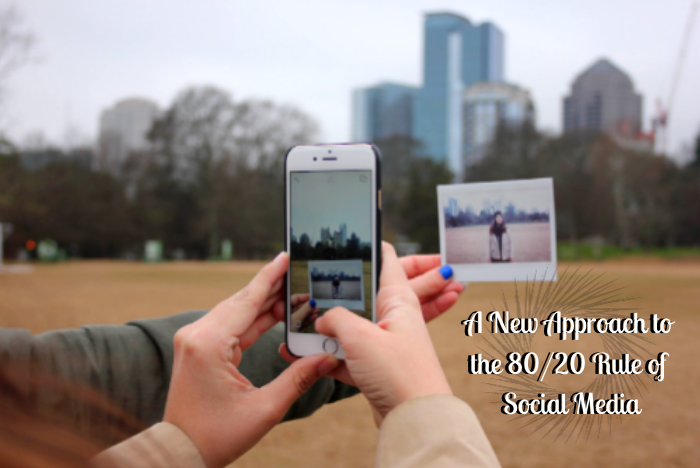 The 80/20 rule of social media is now an outdated approach that is no longer the best option across the board. There is a shift in how the material is being consumed. Before, most people wanted to learn about stuff related to the industry being promoted through a well-rounded profile but those posts, for the most part, are getting less attention than before. The content that is getting more attention is self-promoting material. People who have an interest in your brand want to hear more from you; after all, that’s why they follow your page. This shift has been gradual yet undeniable. Merely looking at analytics will give you an idea of just how much change has occurred over social media channels in the past few years. Each industry is different, but in hotels, we have found that the majority of social media users enjoy having about 80% of their feed relating to self-promotion and only about 20% related to other industry topics. A large number of accounts also enjoy favorable results while implementing a 50/50 style and yet the smallest percentage does best when applying the old 80/20 rule. This goes to show that although there are trends in each industry, the best fit for you has to be determined based on the specific activity of your account. Listen to your audience and give them what they enjoy the most so that your engagement is meaningful. In the long-run, you will enjoy the benefits of connecting in meaningful ways with your audience by providing them with the content they want. Most marketers now agree that all shared content can be categorized as promotional material. When you share your content, deals or anything directly related to your brand it is direct promotion but branding is a huge part of social media that is bigger than that. Anything that is shared on your channel, therefore, becomes linked to your brand and promotes your values, support, and stance. This means that all material on your platform is considered promotional even if it is not directly promoting your brand or created by you. Keep this useful piece of information in your back pocket when trying to decipher what strategy you will implement on your account because whatever you choose, it will end up becoming part of your brand, so it has to be picked strategically. Another thing to keep in mind is that one of the best ways marketers refine their channels to suit the best performing materials is to test, adjust, and analyze the results. Each industry is different, each brand is different and only by looking at their specific analytics will you know which is the best strategy for each account. Remember that these are not one-size-fits-all rules. Instead, they are guidelines to make the most out of each post. You don’t know which posts will perform the best until you publish them, but you can make an educated guess about their performance based on past trends. That being said, like with viral material, it might surprise you to find out that a random piece of content becomes the best performing piece and if you happen to stumble across one despite it not fitting past trends, by all means, promote it. Overall, the trend across the board is that the 80/20 rules have been shifting to 50/50 and in some industries even 20/80. Marketers are always encouraged to test their material to improve their strategy based on performance continuously. Take a look at your best performing posts and learn how your social media engagement has shifted in the past few years to decide what strategy works best for you.